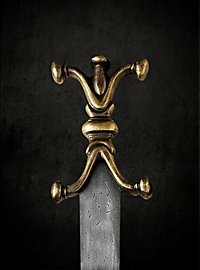 The different types of swords, sabres, medieval axes etc. 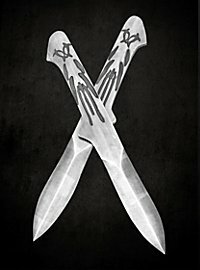 are not primarily seen as instruments of murder by many people. The historical context is often as important as the weapon itself. 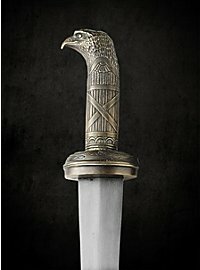 Whether a two-handed sword, Gladius, Shamshir or Viking sword, they were all products of their time and the different cultures from which they originated. 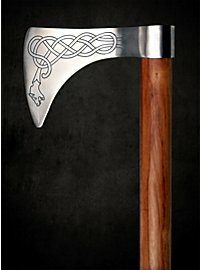 The stories and events in which they played a role make up an important part of the fascination that comes from a melee weapon. 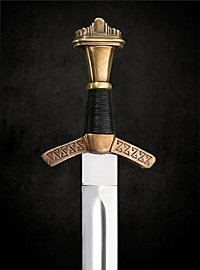 Swords in particular have been a symbol of rulership, the law and justice for centuries. 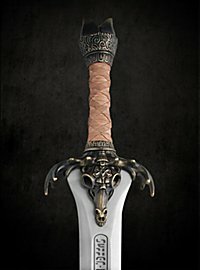 Many heroic legends give the sword an important place in the history of their heroes and magical abilities were often ascribed to these blades. Also, the aesthetic value of these melee weapons is recognized everywhere and appreciated by many. 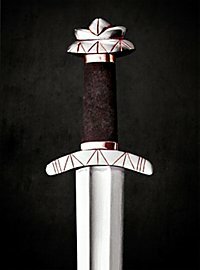 A "beautiful sword" is not necessarily very elaborately decorated. Mainly balanced proportions and elegance create the beauty of such a weapon. 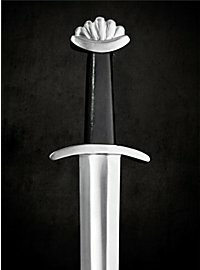 Most of our weapons are based on historical models and are manufactured by experienced armourers. Almost every period of human history is represented with its typical melee weapons. 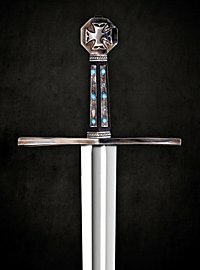 In addition to historical weapons, we also offer various swords and other melee weapons from the world of fantasy, films and TV series, as well as other sources of inspiration such as computer games. 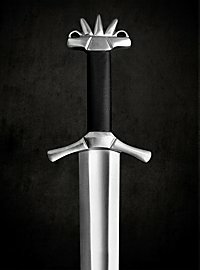 In principle, our weapons are intended for decoration, but we also offer a service to sharpen swords, sabres or daggers etc. 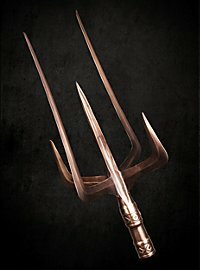 Our weapons differ from a conventional e.g. 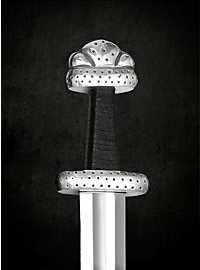 decoration sword by the quality of the steel and the processing of the other components. 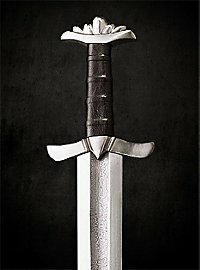 That is why most of the models are suitable for combat and are very faithfully based on their antique, medieval or modern counterparts. 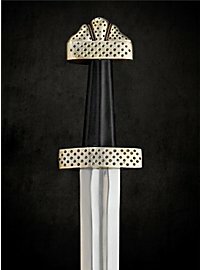 We offer melee weapons that are suitable for training, showfighting or other medieval martial arts in a separate category to make the selection of training weapons easy. 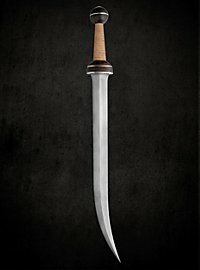 For many years Supreme Replicas has been offering you an extensive range of different melee weapons. 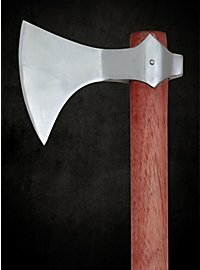 Swords, sabres, axes, spears and halberds: you will find all these classic melee weapons in different versions. 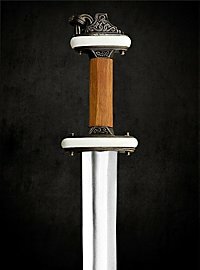 Are you looking for a medieval mace? 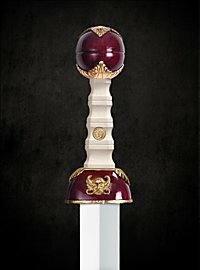 The famous Roman short sword, a Gladius? 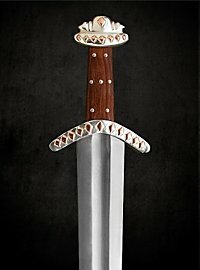 A more modern military sabre like the one of the famous US cavalry or the shashka of the Russian Cossacks? Take some time and browse through our new online shop. 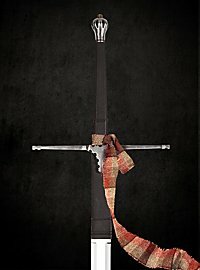 We are sure that you will discover some jewels of the ancient art of weapon smithing! We do not want to neglect the protective weapons either! The head is very vulnerable and a helmet has always been the most important part of the armor. Helmets were, like all other war equipment subject to a constant change, which was influenced by many different factors such as the existing knowledge about production, preferred tactics, costs, fashion, the development of the offensive weapons etc..
At Supreme Replicas we offer a selection of helmets from different eras. Bronze helmets of the Greek Hoplites or the famous helmets of the Roman legionnaires from antiquity are available as well as a variety of medieval helmets. There are e.g. iron hats, the small pot helmets of the crusaders, the well known nasal helmets and of course the one or the other Viking helmet.